My husband and I have gone through about a half dozen extremely stressful events this past year. Looking back, it seems amazing we still find the energy to laugh on occasion. But that’s the way life is! And the older we get, the more responsibility we take on, the more children we have, the more complicated our lives become — the more stress we are going to have to deal with. My kids and I have always tried to find something to laugh about when serious things happen. It’s not always easy, but at least we feel relief a lot more of the time. And hopefully, that’s affecting our health in a positive way. One of the biggest stressors in our society is the breakup of families. We live in a world where divorce has become the norm, and it’s refreshing when I notice couples getting along after a divorce. 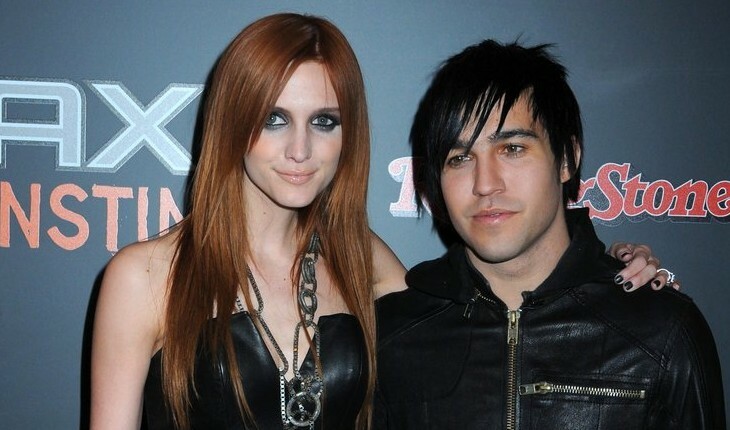 I was thrilled to see that Ashlee Simpson and Pete Wentz reunited (along with their new love interests) to celebrate their son’s fifth birthday. I can tell you from experience that keeping a friendship with your ex post-divorce is the only way to go. Everyone involved will be happier in the long run. And, just a side note, if your new significant other doesn’t agree with that logic, it may be time to get a new significant other! I think we all believe our trials make us better. They build our character; they solidify who we are as individuals; and they give us perspective. We can all learn to be grateful for those tough times. The key to me is allowing our heartache to strengthen us rather than overtake us and beat us down. Ashlee and Pete seem to have this figured out. Do one thing you love to do every single day. This doesn’t have to be extravagant or complicated. Sure, I’d love to go out and buy a new outfit everyday, but that’s simply not going to happen. Simple things that we love make us happy. I might bake chocolate chip cookies one day, or sit by the fire and read a book the next. Sitting in the hot tub before bed makes me happy, and it helps me sleep better. Call a good friend and chat, or meet up with your daughter for lunch. Figure out what you love and do just one of those things every single day. Make a list of all the things that are creating the stress and see if you can do something to change it. This is a brilliant plan! When we write things down, it’s easier to tackle what we’re dealing with. We will be able to see what we can’t change, and hopefully, we’ll be able to accept those challenges for what they are at that point. Making a list of possible solutions could change your life. Just don’t overwhelm yourself with trying to do everything at once. Call the one person who makes you laugh every time you talk to them. For me, this is my big brother. No matter what either one of us is going through at the time, it is absolutely certain that, before we hang up the phone, we will both be rolling in laughter, sometimes with tears streaming down our cheeks. We share a similar sense of humor, and laughing is one of my absolute favorite things. Just writing this paragraph is reminding me to find more opportunity to laugh every day from here on out! Attitude is everything. I tell my kids that all the time, but sometimes, I have to remind myself as well. How we choose to deal with the stressful times in our lives is up to us. We have to decide how much happiness we want to experience amongst all the grief and upset we sometimes are forced to live with. Life should be joyful. Make your list right now, and find one thing you can do today that will make a difference in the way you are feeling about your stress. I know I’m going to. Janeen Diamond, author of Save Your Marriage in 30, was a newscaster for KUTV News until 2001. Since that time, she has been actively producing commercials and special programming through her company, Your TV Spot. She has hosted several television and internet productions and has been a spokesperson for several products and companies. She is a leader over the youth in her church and takes a special interest in helping kids stay on track with their lives. Janeen is currently co-creating “Teen Impact TV,” a website for high school students to give them a creative and emotional outlet. 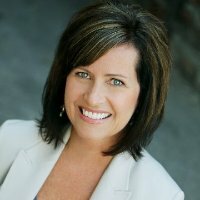 She is a contributing expert for HopeAfterDivorce.org, DivorceSupportCenter.com, FamilyShare.com, and CupidsPulse.com. Follow her on Twitter @janeendiamond and www.facebook.com/janeen.diamond.